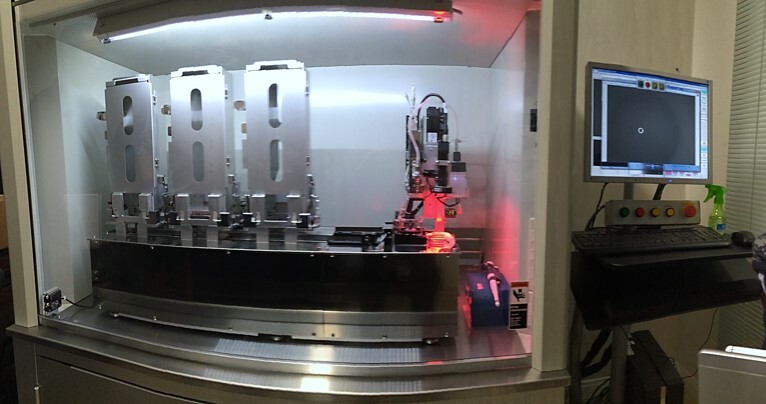 (Click to Enlarge) Regenova® 3D Bio Printer, a robotic system that fabricates three-dimensional tissue using primary cells from Cell Applications, Inc. 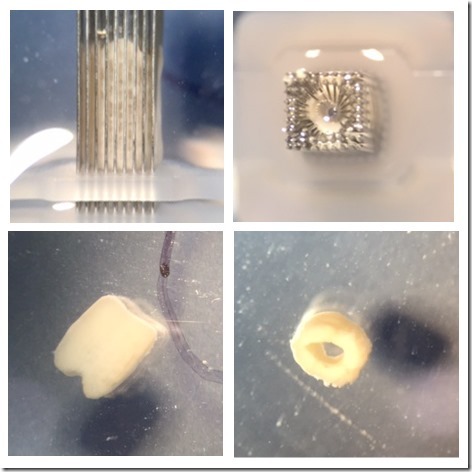 Cell Applications, Inc. has created a powerful Bioprinting model that makes scaffold-free tissue available using the company's vast library of mammalian Primary Cells from humans and animals. 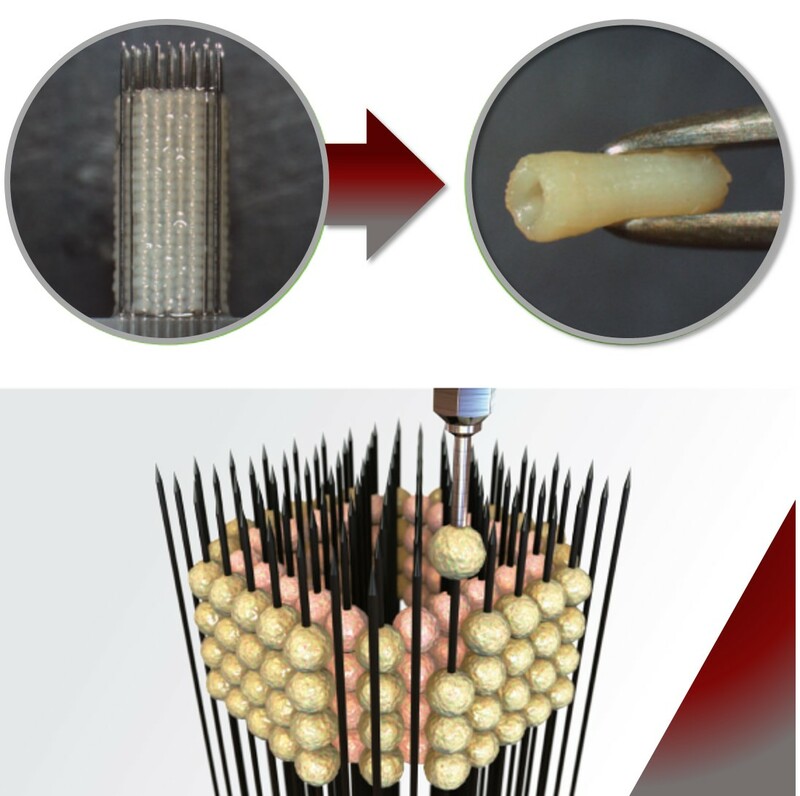 In partnership with Cyfuse Biomedical’s Regenova® 3D Bio Printer, a robotic fabrication system, advanced tissue-engineering services are available using a new three-dimensional bioprinting approach called the “Kenzan Method”. To order custom-printed tissues or schedule a demonstration at CAI in San Diego, contact 1-800-645-0848 or info@cellapplications.com. To rent or purchase the Regenova instrument from Cyfuse Biomedical, contact its N. American distributor AMUZA Inc. at 858-225-6869 or sazuma@amuzainc.com. Image: Blood vessel tissue generated using the Cyfuse Biomedical Regenova® 3D Bio Printer, a robotic system that fabricates three-dimensional tissue using primary cells from Cell Applications, Inc.
Itoh, M., K. Nakayama, R. Noguchi, K. Kamohara, K. Furukawa, K. Uchihashi, S. Toda, J. Oyama, K. Node and S. Morita. 2015. Scaffold-Free Tubular Tissues Created by a Bio-3D Printer Undergo Remodeling and Endothelialization when Implanted in Rat Aortae. PLOS OnE, DOI: 10.1371/journal.pone.0136681. Yamamoto, T., Y. Funahashi, Y. Mastukawa, Y. Tsuji H. Mizuno, K. Nakayama, and M. Gotoh. 2015. 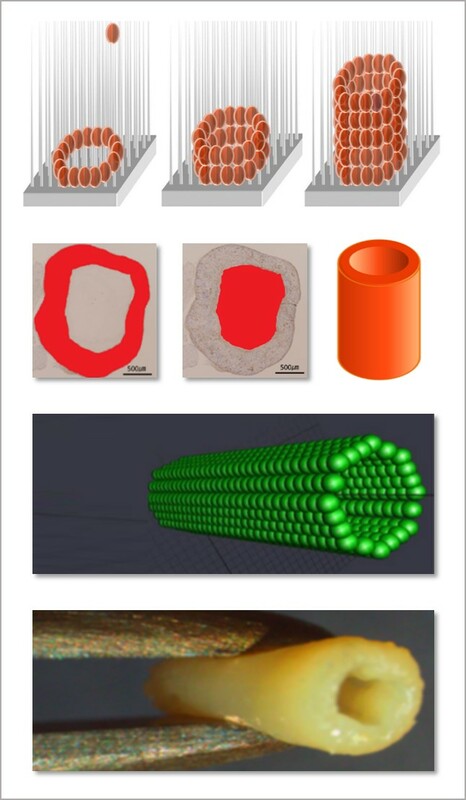 MP19-17 Human Urethra-Engineered with Human Mesenchymal Stem Cell with Maturation by Rearrangement of Cells for Self-Organization – Newly Developed Scaffold-Free Three-Dimensional Bio-Printer. J Urology, 193:e221-e222.